2010 December Archive « .Evolving Music. The Great Valley and their Great New Mobile App!
. Closed Tags: iTunes, Louis Matos, MobBase, Mobile Apps, Nick Matos, The Great Valley, The Great Valley iPhone app, Wrecking Ball. 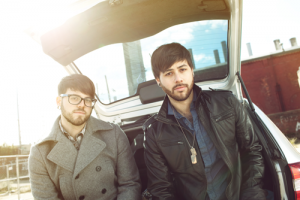 Louis and Nick Matos are brothers that grew up together surrounded by music. It was not a shock when they started the fresh and exciting band, The Great Valley. 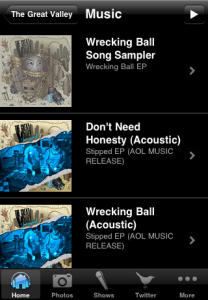 After years of writing music together, the band digitally released their debut EP “Wrecking Ball” on April 20th and the EP debuted 188 on the iTunes top 200 Alternative Chart. Their successful online sales has them turning heads in the industry and getting a lot of attention from media moguls all over the country. 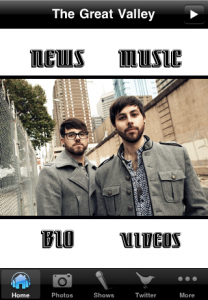 Being on a roll and well immersed in the scene, The Great Valley has now made their music, videos, concert dates, news and more available via your favorite iOS device. 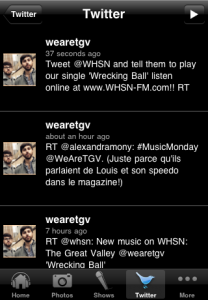 Introducing, The Great Valley iPhone/iPad/iPod app, powered by MobBase!